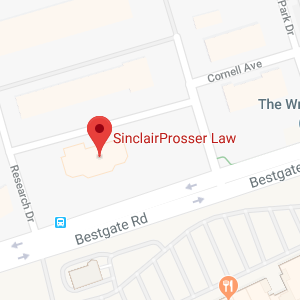 SinclairProsser Law provides representation to clients in Dunkirk, Maryland and surrounding areas. If you live on or around Dunkirk and you need assistance with elder law, asset protection, estate planning, legacy planning and more, our firm is here to provide the assistance that you need. We will work closely with you to make certain that you have taken steps to protect yourself and your loved ones both now and in the future. Give us a call to find out more about why clients throughout Dunkirk, MD have turned to SinclairProsser Law for help with all of their estate planning and elder law needs. Dunkirk is located within Calvert County in the state of Maryland. As of the most recent census, more than 2,500 people lived in Dunkirk. Dunkirk is considered to be a census-designated place (CDP) and it is found along the Patuxent River, which makes up the CDP’s western border. Dunkirk is also on the Prince George County line, and it is easily accessible to the county seat of Calvert County, Prince Frederick. Maryland Route 4 runs directly through the center of Dunkirk, and motorists can travel along Interstate 4 approximately 10 miles to reach Upper Marlboro. Washington, D.C. is also just 25 miles to the northwest of Dunkirk, which makes this Census Designated Place an option for people who commute to the Washington D.C. area for work. The Calvert Pines Senior Center, which is located at 450 West Dares Beach Road in Prince Frederick, MD and which can be reached at 410-535-4606. The North Beach Senior Center, which is located at 9010 Chesapeake Avenue in North Beach, Maryland and which can be reached at 410-257-2549. The Southern Pines Senior Center, which is located at 20 Appeal Lane, Lusby, MD 20657 and which can be reached via phone at 410-586-2748. A geriatric nurse counselor who provides free assessment related to social issues, family matters, caregiving and health problems. The geriatric nurse counselor is offered through the Calvert County Health Department, which can be reached at 410-535-5400. Adult Daycare of Calvert County, which provides daily recreational activity for seniors. Transportation is provided for eligible seniors to the adult daycare. The adult daycare is located at 975 Solomons Island Road, on the lower level. It is in Prince Frederick, Maryland. Medical care and nutrition are also provided at this adult daycare as well. The telephone number to call to reach the adult daycare is 410-535-0133. CREATE for Seniors, which stands for the Calvert Retirement and Enrichment Alternative. This program is for seniors with developmental disabilities who need a place to live during their retirement. CREATE can be reached at 410-535-4606. Often, public programs and services can substantially enhance quality of life for seniors. However, if seniors need more intensive help– such as seniors who require nursing home care- they may need to find ways to pay for the care they require. SinclairProsser Law can assist seniors in exploring different ways to get care paid for, including by qualifying for Medicaid and veterans’ benefits which a senior may be eligible to receive. In Maryland, probate matters are heard at the local Orphans’ Court in the appropriate county. For those living in Dunkirk or who own assets in Dunkirk, this would be the Calvert County court system. While the Orphans’ Court is there if necessary to facilitate the probate process after a death and to handle other important issues such as naming a guardian for an incapacitated person, many people would prefer to avoid having to go to court at all. A comprehensive estate plan can help you to reduce the chances that you or your loved ones will need to go to probate court or seek guardianship in the case of incapacity. A Dunkirk Maryland estate planning and elder law attorney at SinclairProsser Law will provide the comprehensive help you need to make plans for your future. From setting up a comprehensive estate plan to addressing end of life issues, we can help with the decisions that matter most in your life. To find out more about the services we provide, join us for a free seminar. You can also call 410-573-4818 or contact us online to get started on establishing a comprehensive estate plan to protect yourself, your assets and the people you love.